Elektrobit Corp. rolled out what it claims is the industry's first radio channel emulator aimed at manufacturers of basestations and subscriber devices using WiMax, LTE and other 4G wireless network standards. 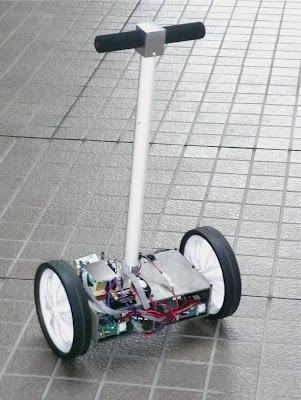 A two-wheeled, inverted pendulum robot that demonstrates posture control in robots that must balance was shown at Ceatac Japan by Waseda University's Humanoid Robotics Institute and industry partner STMicroelectronics. The autonomous robot is the result of ST's first cooperative development effort with a Japanese university. ST will supply the Institute with chips and free access to advanced electronic prototypes. The Japanese institute specializes in designing humanoid robots for the home and medical applications. 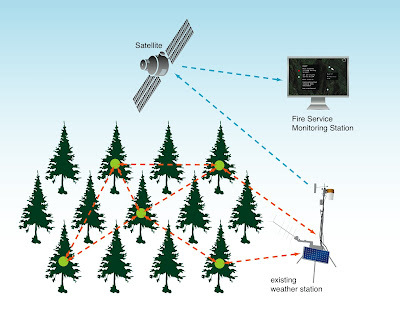 "WIRELESS: Tall tale: Trees could power wireless networks"
The U.S. Forest Service uses a network of automated stations to track weather conditions, especially during fire season. But the solar-powered remote network needs large forest clearings so the Sun can reach collectors. At the same time, Forest Service officials wish they could install sensors on more trees. Now, researchers say that by harnessing the voltage difference between a tree and the ground new ultralow-power sensors can transmit sensor data from almost any tree. The approach would also elimate the need to clear the forest floor for solar power. "WIRELESS: PMC-Sierra seeks to unify WiMax bands"
PMC-Sierra Inc. will unveil its solution for unifying five different frequency bands at this week's WiMax World (Sept. 30-Oct. 2, Chicago). The company (Santa Clara, Calif.) said it will show solutions for unifying frequency bands being allocated for wireless broadband worldwide. 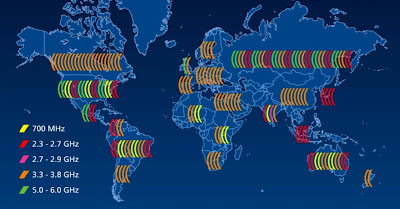 With frequency bands ranging from 700 MHz to 6 GHz, RF chip makers are crafting solutions that enable both basestations and mobile subscriber devices to switch wavelengths in different regions. Undersea robots have until now operated like fixed-wing aircraft, requiring motion to maneuver. Massachusetts Institute of Technology researchers now say they have created the helicopter-of-the-sea, the Odyssey IV. Created in MIT's Autonomous Underwater Vehicles Laboratory, the Odyssey IV can hover like a helicopter, enabling applications like inspecting deepwater oil rigs, observation of sea-bottom flora and fauna and other oceanographic research. 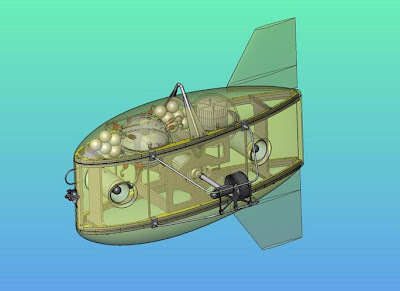 The MIT lab has been designing and building undersea robots since the 1990s, but researchers claim the Odyssey IV is the first model to hover like a helicopter. The Odyssey IV completed its initial trials off Woods Hole, Mass., where it proved it can hover at depths of up to 6,000 meters (3.7 miles). 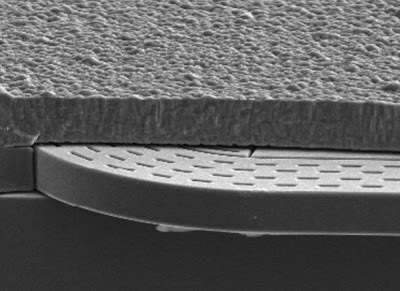 "PODCAST: Week in Review, Sept. 26, 2008"
A new MEMS microphone design and a thinner MEMS oscillator along with electronic-paper tablets and a new spherical design for a ultrawideband antenna highlight this week's technology review. For commentary, listen to technology the weekly podcast. "WIRELESS: Curved UWB antenna said to be most compact"
Compact antennas are usually one-quarter the length of the wavelength being transmitted, but Virgina Tech engineers are claiming a 2.5-fold reduction in the size of an ultrawideband antenna. The compact UWB antenna (CUA) has a curved multi-element shape twisting around the inside of a spherical shape with a diameter just one-tenth that of the wavelength being transmitted. "WIRELESS: E-paper tablet race heats up"
Two startups are claiming the world's first letter-sized electronic paper tablet. IRex Technologies BV (Eindhoven, Netherlands), a spinoff of Philips Electronics N.V., and Plastic Logic Inc. (Mountain View, Calif), a spinoff of the Cavendish Laboratory at University of Cambridge, U.K. Both the iRex 1000 and the Plastic Logic Reader have outer dimensions approximating the size of an 8.5- by 11-inch tablet. Both use reflective, high-contrast gray-scale electrophoretic material from E-Ink Corp. (Cambridge, Mass.). The iRex 1000 is available now. Plastic Logic's Reader won't be available until 2009, but the company claims its tablet is slightly larger. 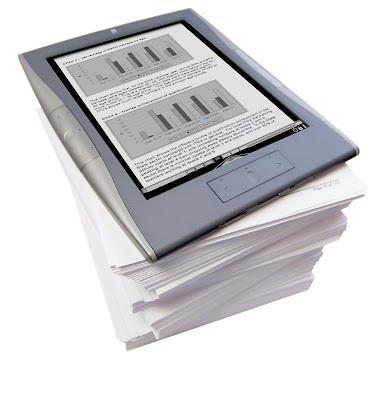 Both e-paper tablets display most document types--books, magazines, newspapers, PDFs and other electronic formats--but iRex's electronic paper tablet also can write on documents with a stylus--circling, underlining or long-hand writing. 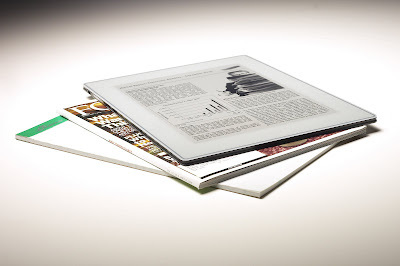 Plastic Logic's e-paper tablet is slightly larger, slightly thinner and weighs slightly less, but iRex's electronic paper tablet is a third-generation model with most of the bugs said to be worked out. Plastic Logic's Reader uses low-temperature transistor arrays on a flexible plastic substrate that eventually could be up to 40 percent cheaper to manufacture than silicon transistors on glass. But iRex claims its traditional glass-substrate is cheaper now, plus it will offer plastic substrates in future models when prices drop. "MEMS: World's thinnest oscillator debuts"
Touted as the world's thinnest MEMS oscillator at just 0.25 millimeters, a new device is being targeted at applications such as smart cards, ultra-thin cellphones, system-in-package modules, flash storage units and other multichip modules. 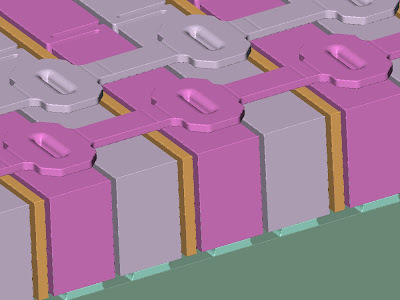 SiTime Corp. (Sunnyvale, Calif.) said it unstacked two dies in its previous SiTime8002 MEMS oscillator, slimming it to one-third its previous thickness but increasing its surface area. "ALGORITHMS: P2P scheme said to ease file distribution"
Peer-to-peer (P2P) digital content distribution used to be about copyright violations, and users sending unauthorized music and videos to each other over the Internet. 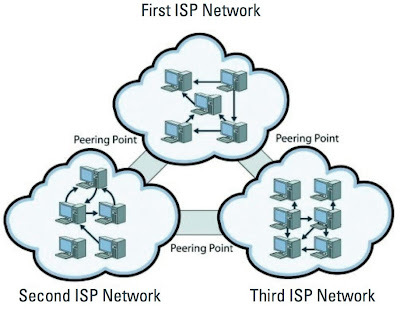 Now, Kontiki Inc. says it has created a way of using P2P content distribution to ease corporate network congestion, without adding new hardware. Kontiki (Sunnyvale, Calif.) claims its delivery management software enables corporations to securely distribute files among many users without the need for high-speed, centralized servers. It also claims the system is based on a P2P scheme that is legal and ultrasecure. "MEMS: mics moving into mainstream"
Micro-electromechanical system (MEMS) microphones were once the darlings of startups, but no more. Analog Devices (Norwood, Mass.) has announced a major thrust into the fledgling MEMS microphone market, predicted by Yole Development (Lyon, France) to sell 800 million units by 2010. "WIRELESS: 3rd-gen e-ink display aims for sweet spot"
The original designer of the electronic-paper display for Sony's eBook and Amazon.com's Kindle model claim to have one-upped those devices with improved technology for its own third-generation iRex 1000 Digital Reader. Using an ASIC twice as fast and eight times more energy efficient than components used in second-generation devices, iRex claims its e-ink handheld aims to replace paper for many mainstream uses. 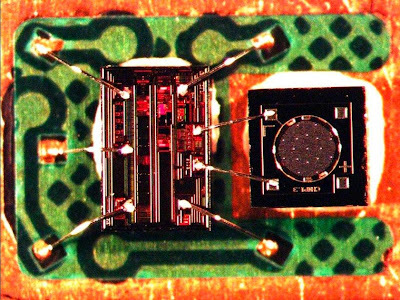 "PODCAST: Week in Review, Sept. 19, 2008"
A faster 3-D graphics accelerator, higher-temperature magnetosensors and smaller, cheaper wireless antennas highlight this week's technology review. For details, see our slideshow. For commentary, listen to the weekly podcast. "ALGORITHMS: CAD project management gets integrated"
Clarizen Inc. has integrated its project management software with the Solidworks CAD tool, allowing design engineers to track project status and create new tasks. Clarizen's suite integrates Web-based management tools with engineering CAD tools designed to maintain project databases. 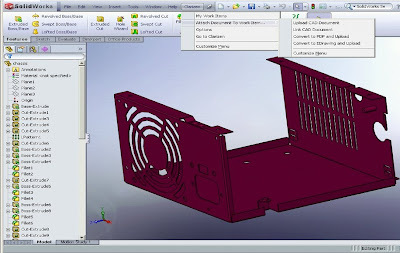 Users select an option from a pull-down menu on their CAD tool to receive assignments and to report on their status. Managers access the Clarizen data centers via a Web browser to view progress reports, assign new tasks and report project status to senior managers. E-mailed forms enable distributed teams to operate by time-shifting status reports relative to working hours synchronized by the data centers. "WIRELESS: TI adopts Pinyon antenna"
Wireless applications in the 2.4-GHz band—from remote controls to Zigbee industrial controllers to Wi-Fi nodes—usually have to add a more powerful amplifier to extend their range. But now Texas Instrument Inc. has a better idea: just replace the traditional metal antenna with a resonant slot on the printed-circuit board. Next week, TI will announce it has adopted Pinyon Technology Inc.'s Airwire slot-antenna for its radio frequency (RF) reference designs—disclosing fully characterized and schematics to its original equipment manufacturers (OEMs) that TI says nearly double of the range of its RF front-end chips. "MATERIALS: Temperature range extended for magnetosensors"
Magnetic sensors like those used to measure RPMs tend to stop responding at high temperatures. That's bad news for future high-efficiency ceramic car engines and aircraft that operate at much higher temperatures. Now, University of Chicago researchers think they have a solution to overheating engine sensors: polycrystalline indium antimonide magnetosensors. Indium antimonide is a III-V semiconductor, like gallium arsenide, that is widely used for high-effieciency infrared detectors and magnetic sensors. 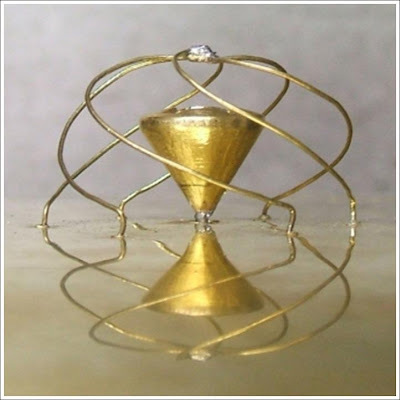 Both employ magnetoresistance and the Hall Effect. Indium antimonide is prized for its ultra-high purity, but many applications require cooling indium antimonide sensors to prevent the adverse effects of thermal lattice vibrations called phonons. 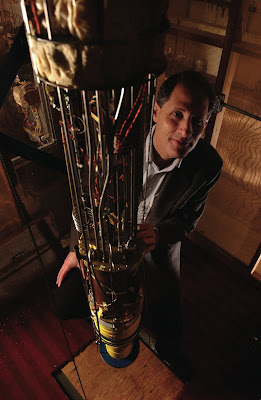 University of Chicago researchers have found a way to damp out the vibrations. "WIRELESS: Company seeks to bridge WiMax, LTE"
The first leg in the race to provide brodband wireless access to a range of computing devices may be won by WiMax, which appears ready to extend its reach to current Wi-Fi nodes. 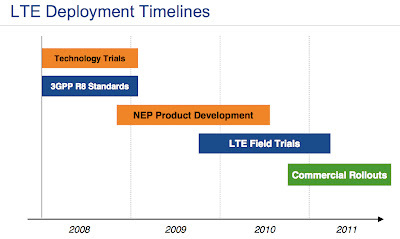 However, the Long-Term Evolution (LTE) approach appears to be the long-term unifier of voice and data services in many developed countries, according to executives at Continuous Computing Inc., which has unveiled a hardware and software suite to allow network operators to upgrade from 3G to 4G wireless broadband. "PODCAST: Week in Review, Sept. 12, 2008"
This week our top technology stories include how EEs made possible Europe's supercollider, how U.S. colliders are still beating Europe's, how MEMS accelerometers are preventing automobile accidents, how OEMs can now use combo satellite/cellular designs for constant connectivity regardless of location, and how DSP's are enabling virtual audio mixers. For details, see our slideshow. For commentary, listen to the weekly podcast. "CHIPS: AMD boosts 3-D graphics acceleration"
Advanced Micro Devices' ATI graphics unit will claim performance milestones later this week for its FirePro 3-D graphics accelerators. 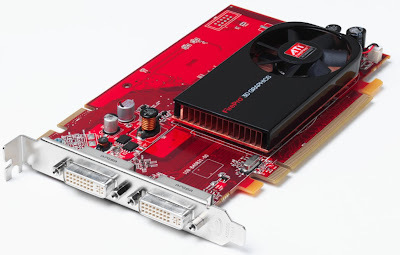 The AMD group said it expects to deliver what it says is the fastest and most cost effective rendering for 3-D CAD software during this week's IBC 2008 conference in Amsterdam. The device targets the creation, management and delivery of digital content for the entertainment industry. ATI said it worked directly with vendors to develop the 3-D modeling software. Vendors included Solidworks Corp. and Dassault Systems, which offers the Catia (Computer-Aided Three-Dimensional Interactive Application). For both 3-D modeling packages, ATI built in direct vertex buffer object (VBO) support for its line of 3-D graphics accelerators. "WIRELESS: Satellite-cell combo connects anywhere"
A combination satellite-cellular communication device emerged this week at the Cellular Telecommunications & Internet Association conference, where Elektrobit Corp. (Oulunsalo, Finland) demonstrated reference designs for mobile handsets, PDAs and a general purpose "connectivity module." 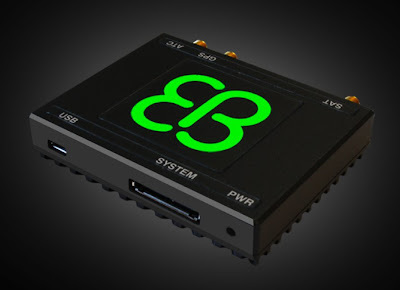 Elektrobit claimed its reference designs will enable laptops, automobiles, remote users with a USB port to maintain Internet connectivity regardless of location by automatically switching between cellular and satellite networks. "ALGORITHMS: Particle race: U.S. lab tops CERN supercollider""
A U.S. laboratory claims to have beat out Europe's new supercollider for the world's first observation of a new subatomic particle. The Fermi National Accelerator Laboratory (Fermilab, Batavia, Ill.) one-upped the European Council for Nuclear Research's CERN's Large Hadron Collider by announcing the observation of the Omega b baryon, a cousin of the proton. By colliding protons with anti-protons, Fermilab became the first to observe the particle. 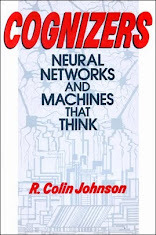 But its discovery may yet be confirmed by CERN next spring when CERN ramps up its larger particle accelerator. "MEMS: stability controllers prevent car wrecks"
High aspect ratio microelectromechanical systems (MEMS) harness the physics of inertial mass to enhance the sensitivity, signal-to-noise ratio and mechanical dampening of accelerometers for automobile airbags. Now that accelerometers for auto electronic stability control (ESC) systems have been mandated in the U.S., Freescale Semiconductor Inc. has transfered its MEMS process from airbag accelerometers to ESC accelerometers, the company announced Wednesday (Sept. 10) in Tokyo. 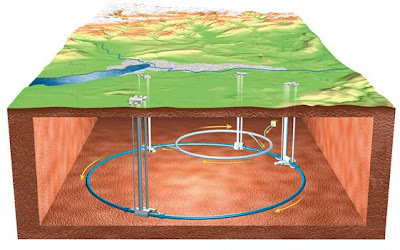 The world's most powerful particle accelerator, the Large Hadron Collider (LHC), will attempt to form its first particle beam on Wednesday, Sept. 10th, enabled by EEs who designed its superconducting magnets, detectors and worldwide grid computing network. The LHC was constructed at the CERN (Conseil Europeen pour la Recherche Nucleaire or European Council for Nuclear Research, Geneva). View a live webcast of the event at 4 a.m. Eastern Time Sept. 10, at: http://webcast.cern.ch/. The LHC consists of a 16-mile long ring of superconducting magnets cooled with 60 tons of liquid helium to -456 degree Fahrenheit. Two beams of protons traveling opposite directions will each achieve an energy of 7 TeV (tera-electronvolts), resulting to head-to-head collisions of 14 TeV. 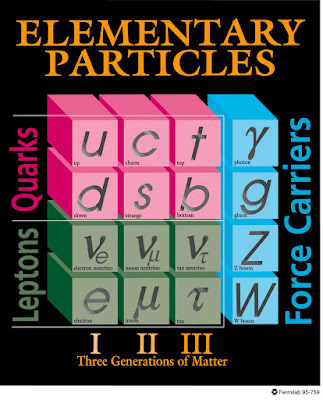 Many experiments will be performed by the LHC that plumb the mysteries of the universe. "PODCAST: Week in Review, Sept. 5, 2008"
This week my top technology stories include how Bell Labs is exiting chip research for which it has garnered six Nobel Prizes, how a robot has removed a diseased kidney through a single incision, how China is countering the U.S. invisibility cloak for hiding aircraft, satellites and missiles with an anti-cloak, and how a virtual musician called iMe can learn to jam along with players in any musical style. For details, see our slideshow. For commentary, listen to technology the weekly podcast. 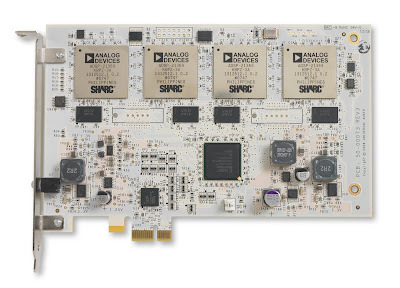 "CHIPS: Virtual mixer harnesses DSP"
Studio-quality audio processing no longer requires expensive gear, according to Universal Audio Inc. (Scotts Valley, Calif.), which has harnessed up to four Analog Devices' Sharc (Super Harvard ARchitecture Computer) digital-signal processors on a single PCI Express board. By plugging the Sharc-based board into even garden-variety PCs, all the audio processing capabilities of studio-grade gear become accessible to virtual mixers via software plug-ins. 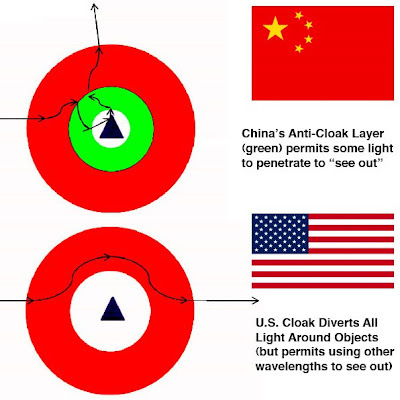 "MATERIALS: China counters U.S. invisibility cloak"
Chinese researchers, fearful that a U.S. invisibility cloak could hide objects from view while also blinding anyone inside, have devised what they call an anti-cloaking layer that solves the latter problem. In work performed at the Shanghai Jiao Tong University, the theoretical anti-cloak would fit around an object but inside the invisibility cloak, permitting anyone inside to see out by merely pressing the anti-cloak against the invisibility cloak. However, David Schurig, co-inventor of the invisibility cloak at North Carolina State University, said the anti-cloak layer is unnecessary since invisibility cloaks work only at select wavelengths. 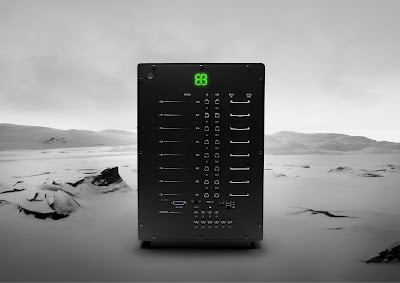 "MATERIALS: Virtual musician learns any playing style"
By learning the melodic, harmonic and rhythmic features of any musical style, a virtual musician called iMe is being billed as the world's first intelligent musical instrument capable of playing along with any soloist. 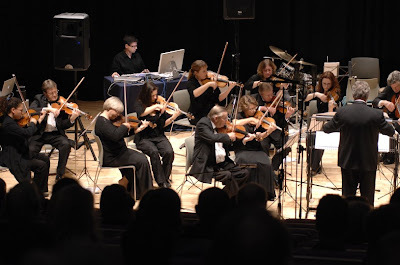 Developed at the Interdisciplinary Center for Computer Music Research at the University of Plymouth (U.K.), iMe can jam with real musicians by learning their style, or by mimicking the style of any musician from their recorded scores. The iMe program will be made available as open-source shareware.